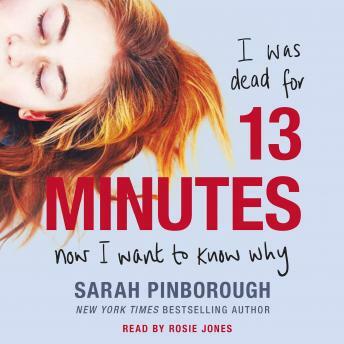 *Soon to be adapted for Netflix by the creators of Gossip Girl, Sarah Pinborough's YA thriller makes for a delicious audiobook. The New York Times bestselling author known for her thrilling twists is back. Natasha doesn't remember how she ended up in the icy water that night, but she does know this-it wasn't an accident, and she wasn't suicidal. Her two closest friends are acting strangely, and Natasha turns to Becca, the best friend she dumped years before when she got popular, to help her figure out what happened. 13 Minutes is a psychological thriller audiobook with a killer twist. From the #1 internationally bestselling author Sarah Pinborough. This book swears too much!